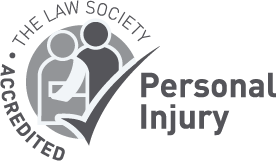 The Ministry of Justice (MoJ) confirmed last year (2018) that Royal Assent has been granted to legislation that will reform the personal injury sector in a bid to curb the whiplash epidemic. The Civil Liability Bill, which is likely to come into force in April 2020, has been planned to lower the amount that is paid for personal injury claims like whiplash. It introduces a tariff on damages for soft tissue injuries resulting from road traffic accidents (RTA) alongside a £5,000 small claims limit. Testing of the bill has been outlined to start by October 2019. The bill has been supported by insurers, who claim it will prevent fraud and deter the whiplash epidemic, which they blame for the increase in insurance premiums. Insurers have therefore promised to give savings to motorists through reduced insurance premiums. 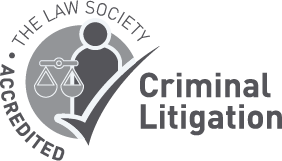 However, lawyers suggest that the new legislation would raise insurers’ profits while denying appropriate justice to those faced with injuries from RTAs and other instances. Many legal professionals view the bill as too advantageous to insurance companies and much concern has been raised surrounding how the reforms will impact more serious injuries with long term effects. “There is no doubt that there has been abuse within the claims system. While it is good news to see progress towards preventing exaggerated whiplash claims, the reforms could leave a lot of people suffering with physical injuries without proper access to justice. “As it stands, the legal costs of a successful claim are paid by the defendant’s insurers. The new proposals however mean that people injured through no fault of their own won’t be able to recover legal costs from their opponents, which could deter them from making a claim at all.